Common Names: Carpet Rose, Heart-Leaf Ice Plant, Aptenia Red Apple, Dew Plant, Ica Plant, Red Apple. 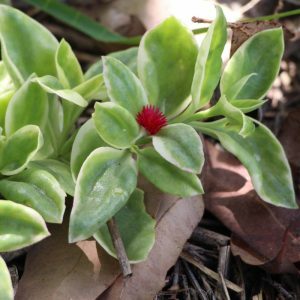 The Carpet Rose has pretty solid green heart-shaped leaves, which is where one of it’s common names has derived. 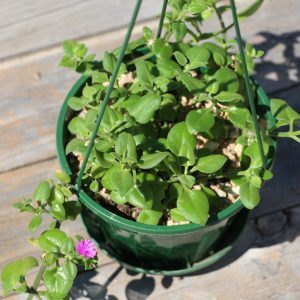 This succulent is also a herb and will grow into an attractive and vigorous ground cover, or make a beautiful feature in a hanging basket. 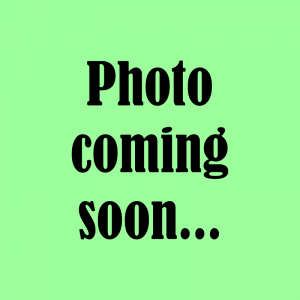 The beautifully contrasting leaves and flowers are eye-catching and will add the finishing touches to any garden. This succulent is native to South Africa making it heat and drought tolerant. 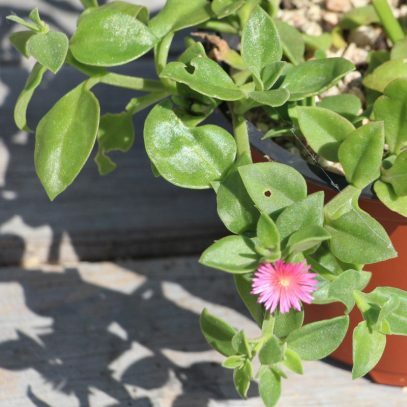 This plant will thrive in bright indirect sunlight. 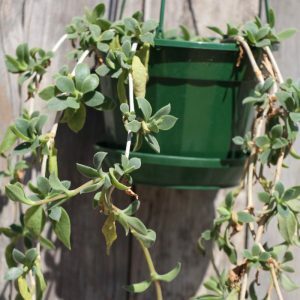 The Pickle Plant is a low growing trailing succulent which can grow about 45cm in height. 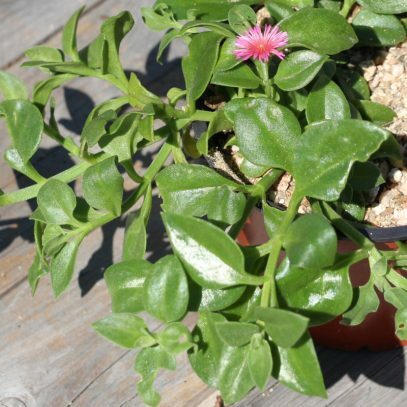 This Delosperma grows on long spindley stems with bright green fleshy leaves covered in fine white hairs giving this plant it’s unique appearance. 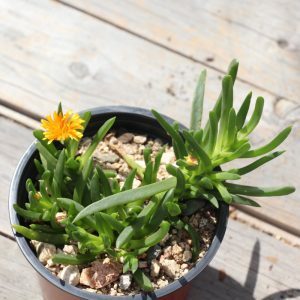 The Hottentot Fig is a robust low growing succulent which grows bright green stems and fleshy leaves that have a peculiar three edged triangular shape. 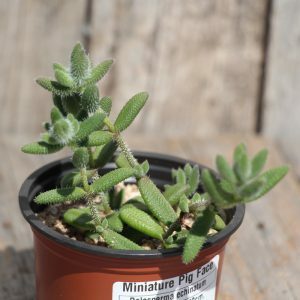 Deceptively enough this succulent has been named a fig, but only because the fruits share a resemblance.